Life would be good if Châteauneuf-du-Pape was one of your everyday red wines. But if that’s not in the budget, the next best thing is an inexpensive yet superb Southern Rhône red blend from celebrated Châteauneuf-du-Pape producers. 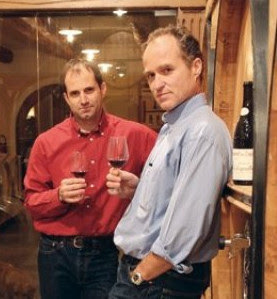 Brothers and fourth generation winemakers Frédéric and Daniel Brunier are rightfully well-known for Domaine du Vieux Télégraphe – their world-class wine from Châteauneuf-du-Pape’s La Crau plateau. Year after year, respected French wine guides like La Revue du Vin de France and Bettane & Desseauve give Vieux Télégraphe the highest of ratings. American wine pundits like them, too. Recently, the brothers applied their intricate knowledge of the various terroirs of the southern Rhône by expanding into Ventoux. The Brunier’s five acres of Ventoux vineyards are situated in the commune of Saint-Hippolyte-le-Graveyron, on the southern slopes of the Dentelles de Montmirail. The vines are about 25 years old, on average. All the fruit is harvested by hand, de-stemmed, and then pressed gently by pneumatic press. Fermentation occurs in temperature-controlled cement tanks and then the wine is transferred to large foudres to age another 10 months. The result is a wine that is fresh, rich in fruit, and solidly representative of their Ventoux terroir. 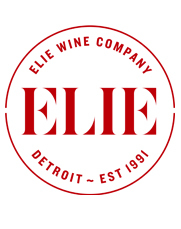 A blend of 80% Grenache and 20% Syrah, there is plenty of juicy blackberry and strawberry aromatics that precede notes of spice, herbs and spring flowers in this medium-bodied, easy-drinking wine. This is a bottle to stock up on for the warmer months and serve with the slightest chill. If you drink it on a sun-drenched patio you just might be momentarily transported to a bistro on the cobblestone streets of Avignon.